Looking through my 836 blog drafts (that is an exact number) I happened to come across this gem, which ties to the Batman Arkham Origins: Blackgate game by company- Armature Studios. Dated from July 2, 2012, it's a plea to create an original Metal Gear game that could happen from a company that brought the PS Vita HD remakes of Metal Gear 2 & 3 to fruition. Note: This is still essentially a draft post. 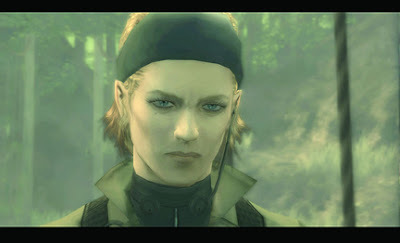 I would absolutely LOVE to see a Metal Gear game with The Boss (aka The Joy) as the main character. A female lead that is highly intelligent and more than capable, arguably the best character of the entire series. She's been called The Legendary Soldier and True Patriot. She taught Naked Snake all he knew about war, survival, and the the great costs it has. The perfect candidate for a pocket Metal Gear game. 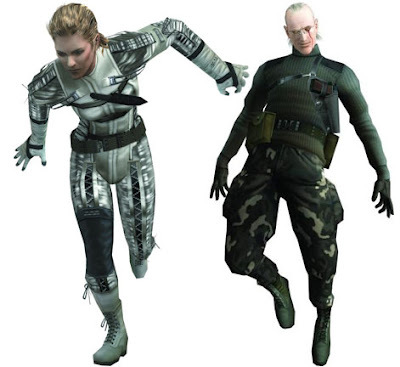 The way I figure it, the game would be her earlier mission(s) with the Cobra Unit. The main story is already known from all the bits and pieces of Metal Gear 3: Snake Eater, it would only need a little expansion. Part of it taking place in 1962 in Tselinoyarsk with The Sorrow, and fleshed out with flashback parts (even possibly back to the founding of the Cobra Unit in 1942) to the time with the Cobra Unit- all culminating in the inevitable end. It would end with Joy and The Sorrow. Everyone knows it would be coming, but the portrayal of it playing out could be amazing. We already know he tells her to kill him so she and their child could live, only now we have to actually do it. The game would be a Spartan tale, no more than 6 hours long, with the Metal Gear story staple of tragedy and loss with the greatest of emotional impacts possible. The ultimate tragedy and sacrifice, love and loss, the mingling of Joy and Sorrow, beautifully intertwined. Honestly, I've been reading that Konami would like to focus on mobile recently, so here's a decent idea they could start. It could be a tight story with a game that always sells well. Although the reported issues with Kojima might makes things problematic. The chances of this happening are far slimmer than the chances of anyone from Sony, Armature, Konami, or even Kojima actually reading this post.